The village of Borban is a curious case that exemplifies and captures a dualism of how external processes facilitate economic progress albeit acting as a ‘risk multiplier’ that shapes community’s vulnerability at a micro level with repercussions that transcend beyond that scale. The external process that is being referred to is that of ‘market forces’ that drive the agricultural production in Borban. The narrative elaborates the bearings of the external process exclusively on the changing socio-economic landscape for the women of the Borban village vis-à-vis negotiating with a changing climate. The narrative draws focus towards some noteworthy experiences recounted by the women that have transformed their way of life. And it all began with a paramount shift from modest subsistence farming practices leading to a near commercial monoculture of the pomegranate crop. As per the account shared by the community, in early 2000s, a group of entrepreneurial farmers from Borban, dissatisfied with the returns from traditional farming set out to explore the agricultural market for cultivating economically lucrative crops. The farmers from a word of mouth heard that some farmers, in a part of the Sangamner district, had started cultivating pomegranate fruit. The farmers from Borban after communicating and consulting with the cultivators became assured of this idea and studied how to cultivate pomegranate (as the process of cultivation of the fruit is laborious and scrupulous) and commenced exploring market linkages, sources of credit and other inputs essential for pomegranate cultivation. The farmers after a span of few years, around mid-2000s, had excelled at pomegranate production. They developed robust market links with sellers all over the country. Their produce was being sold in cities of New Delhi, Jaipur, Pune and Sangamner in India and was also exported from Mumbai. The farmers availed credit from cooperative credit societies and had access to water throughout the year as the village is located on the banks of the river Mula. Taking a notice of these developments other farmers from the village joined the queue. Now, around 90-95% of the farmers produce pomegranate in the village and have shifted their agricultural practices from subsistence based i.e. cultivating traditional indigenous crops such as bajra and tur to commercial having reached a stage of a near monoculture. The farmers have earned lucrative economic dividends from this crop. 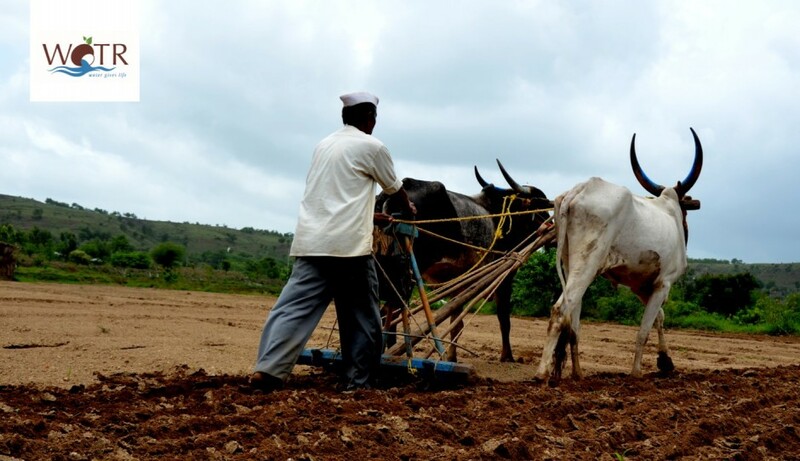 The farmers now earn a gross earning of rupees 4-6 lakhs per annum. This enabled the community to build modern houses, prioritize the education of their children by educating them in metropolitan cities of Maharashtra like Pune and Mumbai and so much so that some farmers purchased fancy sport utility vehicles (SUVs) too! Now girls and women in the household help their husbands or fathers in the marketing of pomegranate. It all looks and is incredible but the community has begun to observe some changes pertaining to their personal behavior vis-à-vis their household, kin and community. Firstly, women noted the work culture of the village had undergone a complete shift with the introduction of pomegranate. They explained that the people were thoroughly occupied with the pomegranate cultivation which resulted in elongation of the working hours by at least two to three hours per day. As a result women can no longer find the time to rest in the afternoon and to tend to other personal and social commitments. Secondly, women argued that they now perform operations like applying chemical pesticides and fertilizers, preparing a pomegranate nursery by grafting the sapling and packaging the produce of which they have no prior experience and knowledge. As a result, they have to depend solely on the directions provided to them by the men. This was a contrast to the gender relations prevalent in the past as women used to provide inputs and suggest interventions to the men regarding most of the agricultural and livestock related operations. Women noted that since they have shifted from subsistence farming, women’s role is decision making over the crop selection and the utilization and distribution of financial resources regarding agriculture has reduced significantly. This has enabled the men to occupy the space of a dominant or the principal decision maker of the household. Thirdly, as illustrated above, the developments have had a detrimental impact on the inter-personal relations between the members of the community. Ashatai Wadekar, a resident of Borban and also the former Vasundhara Sevika (a village level watershed worker) reflected on the issue and remarked “…nobody in the village has time to meet each other, converse and celebrate any festivals. We used to celebrate many festivals earlier especially during the harvesting season. But now people have turned their attention to nothing but making money and earning a profit.” Thus, a once close knitted community has become increasingly withdrawn, making a sense of individualism and self-interested behaviour evident among the community. Finally, the farmers have also observed that pomegranate is highly sensitive to climate variability, which they say has increased since the last 4-5 years. The farmers commented that events like unseasonal rainfall, reducing winters, warmer winters and changes in the seasonal patterns is affecting the pomegranate that increases the input costs as farmers have to spray more pesticides as well as high inputs of chemical fertilizers. The respondents speculated that exposure to the pesticides has increased illnesses among the farmers. The farmers have noticed instances of fatigue, rashes, vomiting, fainting and sneezing due to coming in contact with pesticides. In addition, the many members of the community have installed water filters in their homes as they stated that the river water which is the source of drinking water, has become polluted. One of the reasons that they surmised was excessive use of fertilizers by them that could have led to river and groundwater contamination! But since the crop is highly remunerative the farmers are reluctant to shift to another crop or reduce its production. Contents are noteworthy and photographs are naturally pleasing and beautiful.